To keep your account safe, we logged you out after 10 minutes of inactivity. Book an appointment from anywhere, 24/7. Get prescriptions at your pharmacy. We can send prescriptions anywhere. If we can't help you, you pay nothing. Our physicians have an average of 15 years experience and are trained at the top 50 medical institutions in the country. Schedule a doctor visit, manage your medical history, or send a prescription to the nearest pharmacy. "Outstanding service. Both my husband and I used the service. It's so much easier than going and sitting in an emergency room or clinic with other people and their germs. A great way to be checked out!" "Quick appts and very professional and thorough doctors. This is a great service and they take insurance!" "I'm a busy guy with work often finding myself out of area. I've used PlushCare a couple of times and couldn't be happier. Doctors are always nice and prfessional and appointments are easy to get." How does PlushCare treat conditions that are normally treated in person (e.g. strep throat)? Our doctors utilize both the history of your illness, your description of your symptoms, and examination information (such as rapid breathing, pictures etc) to help them determine your diagnosis. They will try to determine that you do not have signs or symptoms of a serious disease prior to making any diagnosis or treatment recommendation. If they believe that you need to be seen in person or have an examination, we will refund the cost of your visit and refer you to an in-person provider. What if I want, or my condition requires, lab work? We are electronically integrated with Quest Diagnostics and LabCorp. Your PlushCare doctor will send the lab referral electronically to the most convenient testing facility in your area. He or she will receive the results electronically and follow-up with you immediately after. How does a PlushCare doctor write me a prescription? Upon completion of your appointment, your doctor will send the prescription electronically to the pharmacy indicated in your profile for immediate pickup. You can download the PlushCare app for iPhone and Android, or you can use a computer with a camera to complete the video session. 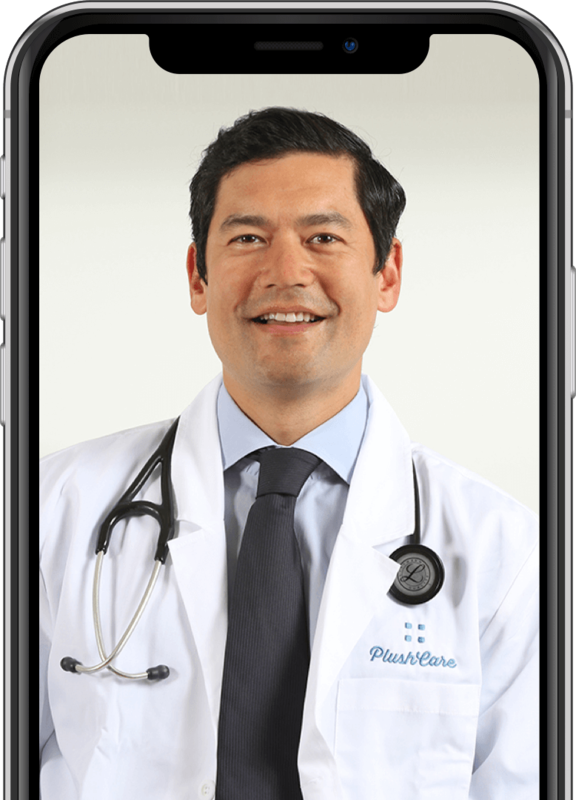 The PlushCare app provides patients with a convenient way to speak to a doctor without the use of a computer. Join over 100,000 people using PlushCare today! Oops. That email/password combination is invalid.